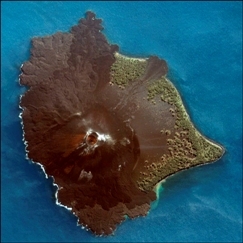 Indonesia volcano on Java and Bali are numerous. Some of them are even active volcanoes and one the most dangerous volcanoes in the world. Like Krakatau, the deadliest of Indonesia volcano. Located between the island of Java and Sumatra. It has the largest eruption in 1883. And the explosive was heard all over the world. West Java has volcanoes like Tangkuban Perahu , Mount Papandayan and Mount Patuha with kawah putih on its lake located near Bandung. These mountains has also their own charm. And there is Mount Galunggung in Tasikmalaya, West Java. It has an major eruption in 1982. I could remember that day of the explosive. I was at that time at junior school in Bandung. I had to go to school, but I couldn’t go because the sky was so black and grey, you couldn’t even see the sky. So the whole family decided to stay at home and if we have to go somewhere, we had to use an umbrella or else we are so black from the volcanic ash that come from the sky and it’s also dangerous to come outside without protection. I could remember that day that I was so frighten, we could even heard the explosive. And indeed the explosive killed 68 people. It was the biggest disaster in West Java. But the most benefit of the explosion that after years the ground would be very fertile, and this is also important for Indonesian people (the most are famer) because they’re depending on the fertility of the ground. 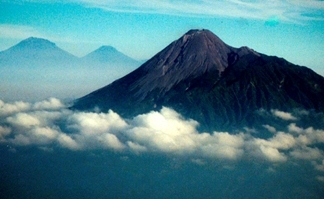 Around Central Java you’ll find volcano like Mount Merapi located near Yogyakarta. This is a very active volcano and dangerous volcano. 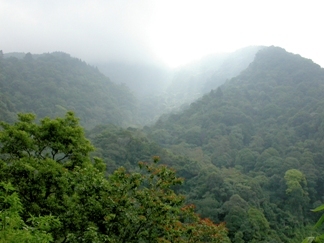 And Mount Unggaran, located near Semarang, capital of central Java. Not an active volcano but has a beautiful sight in the early morning. The most attractive mountain is Mount Bromo, located near Malang in the province East Java, also an active volcano, but the sunrise is really irresistible. And there is Mount Semeru, the highest volcano in Java, part of Tenggerese caldera, and the most challenging mountain to climb, so backpackers…. this is your chance to climb this incredible mountain. In this province you’ll also find the turquoise lake on Ijen volcano complex. 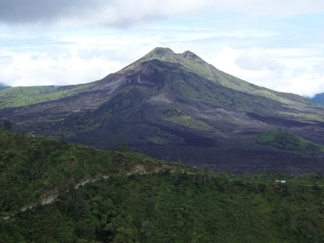 Bali has also volcanoes like Mount Agung and Mount Batur, the most interesting places in Bali. If you’ve heard about this two mountains, you would probably already know that this two mountain always in related with their temples. You will find Besakih temple, the mother temple of Bali in Mount Agung and Mount Batur is always related with Lake Batur, and there you will find the beautiful Pura Ulun Danu, it seems that the temple rise from the lake. So the mountains are unbelievable, dangerous and at the same time very attractive. All is well worth of visited. They’re all have their own charme. For the most complete list of all volcanoes in Java, see the page on Wikipedia.